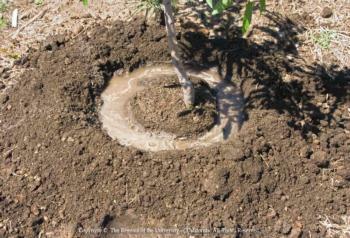 When trees are first planted, a berm can be erected around the base to provide targeted water to the developing roots. 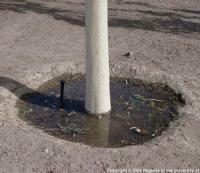 However, it should be sloped within the raised border to keep water away from the base of the tree. It must be removed after the first year as the roots will have outgrown the size of the well and water should be more widely applied to encourage continued expansion of the roots. Regular water should be supplied the first two or three years, and should be applied slowly enough to infiltrate at least 18" to 2'. 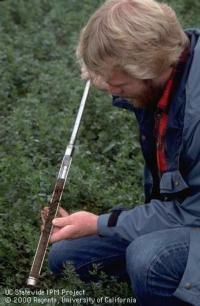 This can be checked with a soil probe, or even a long screwdriver. encourage the continued health of deeper roots. MULCH in the root zone kept a few inches from the trunk will help keep the soil moist while improving soil health and protecting roots from temperature changes.